Selecting a competent attorney for your family is one of the most important things to do. The reason is that you are more likely to receive favourable results if you get represented by an attorney in all family related disputes. Family attorneys deal with all kinds of domestic situations, including child custody, which defines the legal relationship between a child and a parent. The matters under consideration here include decision-making and residence and visitation of the child. Child custody cases mostly arise when a mother and father live far from each other or are divorced. When complications about the custody of the child arise, parents often have to endure legal entanglements when fighting to retain custody, a procedure that is rendered effortless by hiring an attorney. You should know that the custody of a child is not based on the gender of the parent, which is contrary to the common myth. There exist different child custody and visitation rights that are provided by the law, and they include the following. This involves giving one parent the right to make major life decisions for their child, including their health care, education, religion and the right to live with them. However, parents are not prevented from making these decisions together. Ideally, the court grants sole custody if there is too much conflict between the parents; for instance when there was violence involved. Consequently, the parent who reserves the right to the custody of the child may make their own decisions even if they are contrary to the wishes of the other parent. The judges do not give any preferences in regard to making decisions concerning the well-being of the child. However, the court may grant one parent the right to make major decisions, depending on the situation at hand. Nonetheless, this type of custody is very different to joint physical alternative where the parents enjoy spending equal time with their child; instead, joint custody provides an opportunity for parents to share decision-making rights in matters concerning the kid. These two terms are sometimes used interchangeably, which is wrong. Child visitation is the term used in reference to the right of the parent without custodial rights to spend some time with their child. The court defines the amount of time they spend together be it a whole day or a few hours. 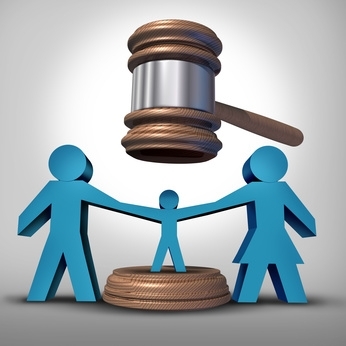 In consideration of the parent’s work timetable, child care history, school position, the child’s safety and the custodial parent’s wishes, the judge will determine the amount of time the child and the other parent can spend together. You should also know that even if the parent is given a lot of time with the child, it does not mean that they retain custody in any way whatsoever. Supervised visitation simply means that the involved parent should not visit the child without another person watching. For the judge to give this kind of directive, there has to have been some sought of abuse, total negligence or violence. Also, the custodial parent will have to prove why this type of visitation is necessary. Besides, the facts about the history between the parent and the child will also be used to ascertain the time and frequency of the supervised visitation. Addressing the issue of who retains the custody of a child has no perfect ending. Parents in this kind of situation should put their child’s well fare first as it should be the ultimate priority. Furthermore, it is important for you as a parent to pay special attention to providing the care needed by your child during this time because kids are often thrown off balance by such situations. For more info, visit: Martyn Prowel Solicitors.